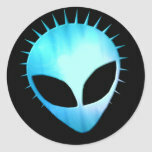 Extra terrestrial with spikes in his alien being head. 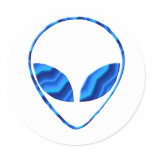 Alien head of being from outer space sticker. 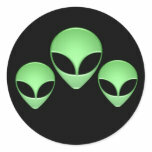 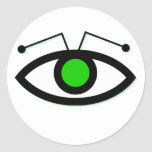 Green alien head trios black sticker. 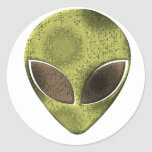 UFO with that looks like an alien eye sticker. 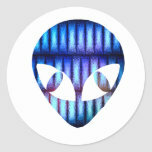 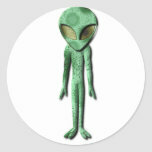 Alien extra terrestrial being sticker.